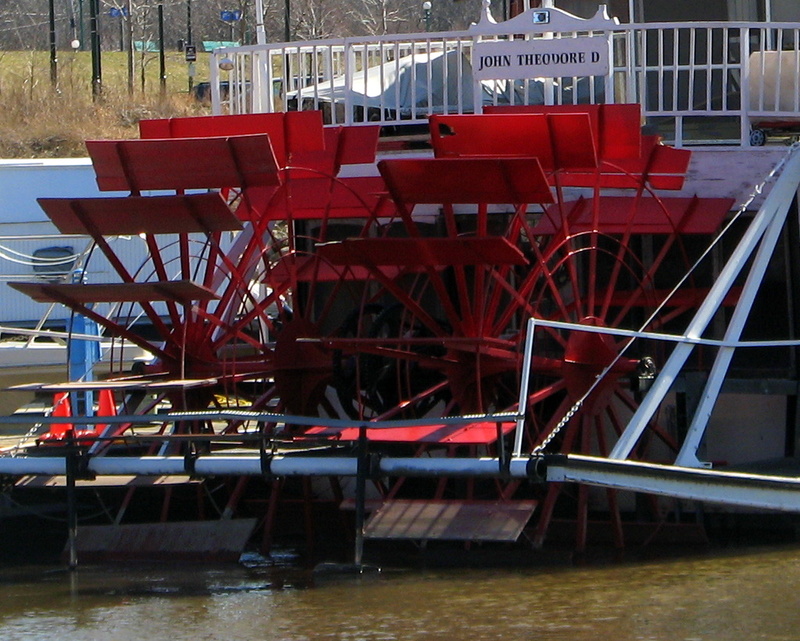 While this beautifully red painted paddle wheel looks like it's in good working order. Take a close look at the slats of wood that are just about sitting in the water. By the lack of paint, this tells me that the paddle wheel is just for show and never moves. I do know there are a couple of boats docked up at Harriot Island on the Mississippi River in St Paul that are permanent. I would have to guess this was one of the fixed ships.